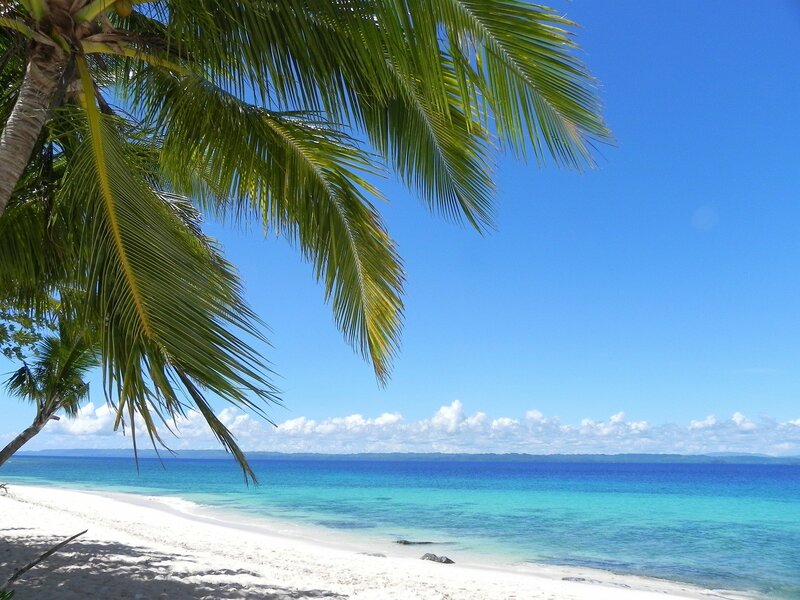 If you’re a fan of sparkling blue water, white sand beaches, fresh coconut juice, and lush green spaces, the Philippines is the perfect place to visit. And if you’ve decided to make the trek to visit this beautiful island nation, you’re probably a pretty adventurous traveler. 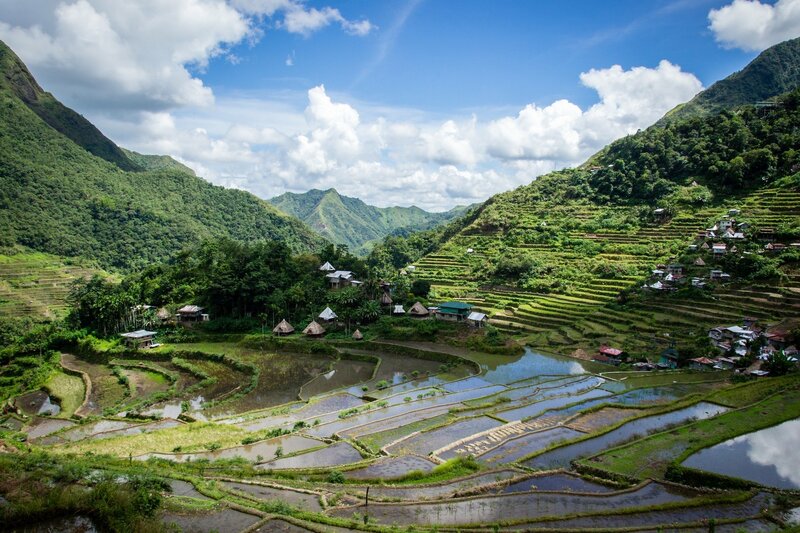 But figuring out what to pack for the Philippines – with its diverse terrains and activities – can be somewhat challenging. After 7 trips to this beautiful island nation, I’ve (mostly) gotten my packing down to a science, so I decided to sit down and write this Philippines packing list to help you with your trip planning. By the way, I’ve put together a printable Philippines packing PDF (with 4 awesome checklists!) from this post so you can print it and pack it with you for your trip. Sign up below and I’ll send the checklist straight to your inbox, along with some of my favorite expert tips for traveling in the Philippines! If you’re planning a trip to the Philippines and need some help figuring out how not to massively overpack what to bring with you, read on for my recommendations for clothes, travel gear, and other helpful items. I’ll be going through many of these things in more detail later in the post, but first I wanted to give you a tl;dr version of the absolute essentials for your trip. These are the items you should absolutely not travel without in the Philippines. Forgetting any one of these could be costly and/or potentially dangerous, so if you read anything in this post, read this! Travel insurance – It is absolutely essential to buy travel insurance before traveling to the Philippines (or anywhere abroad). While the country is safe to travel in, like any foreign country, medical issues, flight delays, and theft are still very real threats. 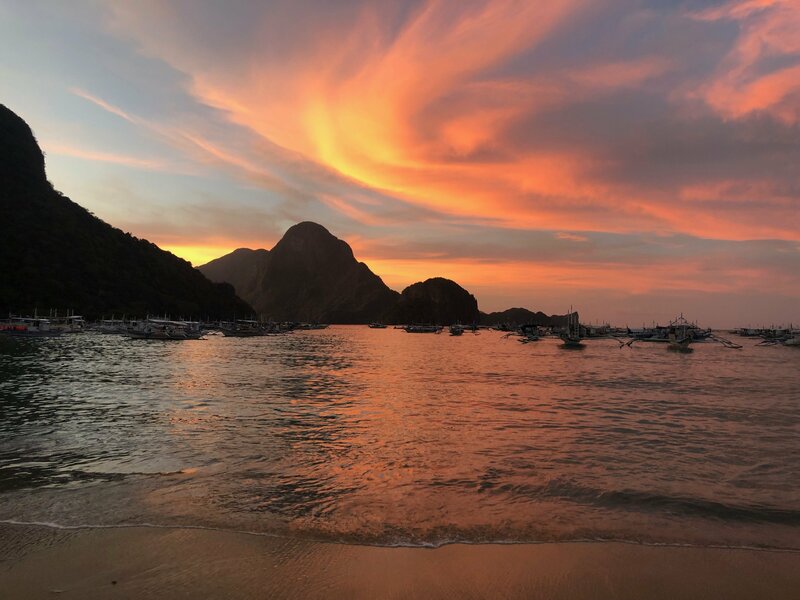 I use and recommend WorldNomads for every international trip; I’ve had to make claims with them several times in the past and they are great to work with. Cash – While credit cards are becoming more widely accepted in large cities, the more rural areas and small towns are still predominantly cash-based. Be sure to bring some cash with you to exchange, as well as a debit card for making ATM withdrawals. Small bills are essential as many local stores and taxis won’t have change for 1,000 or 500 PHP bills. Bring a money belt to protect your cash as well. Reef-safe sunscreen – Most of the activities in the Philippines are outdoors, and you’ll want to protect yourself from the sun. 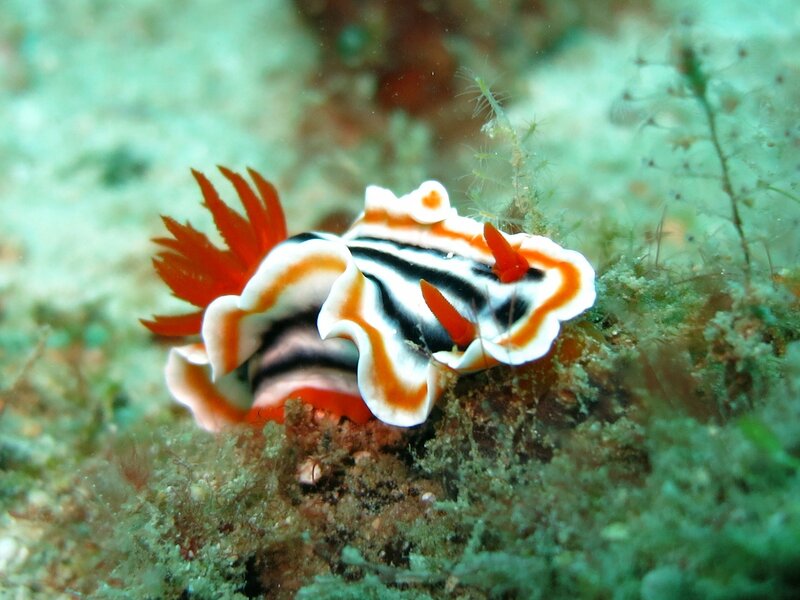 However, normal sunscreens aren’t safe for the beautiful coral reefs or marine life in the Philippines. Use reef-safe sunscreen like Sun Bum to keep the environment clean and avoid looking like a lobster throughout your entire trip. Bug spray – Like many tropical countries, mosquito borne illnesses like Dengue Fever are a possibility in the Philippines. Pack bug repellent that’s comfortable and that you don’t mind wearing all day (like this lotion blend), because you’ll need to have a healthy layer of this stuff on at all times. Sweat-wicking clothing – The Philippines is a tropical country that’s warm and humid basically year-round. Therefore, you’ll want clothing that will keep you cool and dry. I’ll cover this in more detail in the next section. Durable shoes – You’ll be doing a TON of walking in the Philippines, and often the terrain is gravel/dirt roads or sand. Bring durable shoes (including water shoes) to keep your feet comfortable at all times – I’ll share my recommendations a bit later in this post. Whether you’re at the beach or hiking in the rice terraces, you’ll need a lot of sweat-proof, durable clothing while in the Philippines. Like I mentioned above, the Philippines typically has warm and humid temperatures year-round. The good news? You can rely mostly on super lightweight clothing (so you don’t have to carry around big, bulky bags of clothes). The bad news? Clothes tend to retain moisture and, if you don’t bring the right fabrics, you might end up with a musty-smelling bag (gross) for most of your trip. Figuring out what to pack for the Philippines is super important, so you don’t end up with a heavy bag of backpacker stink! To combat this problem, I always opt for sweat-wicking fabrics like merino wool, lightweight cotton, or synthetics. Sweat-wicking tank tops and t-shirts – Bring a couple of basic, sweat-wicking tops for your trip. On my most recent trip, I brought 3 PrAna Revere tank tops, one simple sweat-wicking v-neck, and one ¾ length sleeve shirt. Leggings – I basically live in leggings while I’m in the Philippines, since they’re so lightweight and breathable, thin enough to stay cool but thick enough to prevent mosquito bites. I have a pair of the PrAna Transform Crops and a pair of the Lululemon Wunder Unders and those together usually do the trick for me. Shorts – Did I mention the Philippines is HOT?! 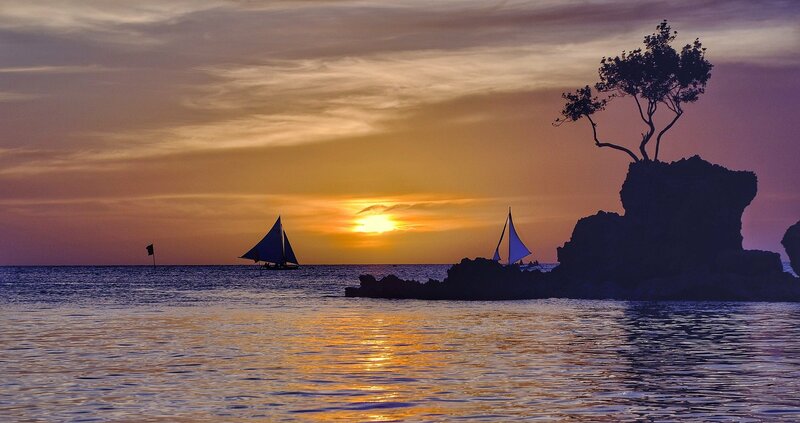 For the days you’ll be on boats or lounging on the beach, it’s best to bring shorts with you. For traveling in hot climates, I have a pair of sweat-wicking PrAna shorts (that were sadly discontinued) and my Lululemon On the Fly running shorts. Hiking pants – Hiking pants are a great alternative or addition to leggings, as they’re breathable and sweat-wicking. The best part is that you can use them while hiking, or simply lounging around on a breezy beach. Our favorite hiking pants are from PrAna (Raf loves the Brion Pants from PrAna and I’m a fan of the roll-up Halle Pant). Pants – Optional, but if you’re planning to go out to a nice restaurant or resort, it’s a good idea to have at least one pair of nicer pants. I use the Madewell Roadtripper jeans in black for basically all of my travel – they’re stretchy, cozy, and versatile and I can dress them up or down! They come in all different lengths (petite, regular, tall, and extra tall) to fit basically ANY body type, which I LOVE as a short lady. They also have them in blue if you prefer more color in your wardrobe. Rain shell – Being in the tropics, it can sometimes rain a lot in the Philippines. It’s a good idea to bring a light rain shell to stay dry on rainy days. I use a Marmot PreCip rain shell which is light, wind and waterproof, and folds up into a tiny ball in your bag. Raf uses the Venture 2 rain jacket from the North Face. Lightweight jacket – It’s not cold in the Philippines, but it can be chilly in airplanes, shopping malls, and restaurants. Pack a lightweight jacket (I love this one from Marmot, and Raf has a hoodie that he basically lives in) that you can bring with you to these places. Swimsuit – Duh. It’s an island nation. Bring your swimsuit and prepare to get wet! I’d recommend bringing at least one sturdy, wave-proof bikini or one piece for more adventurous days (so, ya know, you don’t accidentally flash someone or lose your top or something). Cover up – You’ll likely go island hopping or take boat rides to swimming places during your trip. It’s smart to pack a cover up for when you’re not swimming but you’re not ready to change out of your swimsuit. Brimmed hat & sunglasses – It’s sunny in the Philippines and most beaches don’t have a lot of tree cover. Bring a brimmed hat and a durable pair of sunglasses you can wear on sunny days. Additionally, you’ll want some durable shoes to cover you on basically any kind of terrain (except ice and snow; you won’t find those in this tropical nation!). You’ll be doing a lot of water activities, so having shoes that can protect your feet in the water is highly recommended. Durable outdoor sandals – Your feet will mostly live in sandals in the Philippines, between beaches, boats, and swimming. Although it was totally unnecessary, I brought two pairs of durable sandals on my last trip: a pair of Birkenstocks and a pair of Chacos. I didn’t regret bringing either one! Lightweight hiking shoes – For hiking in the Philippines, I don’t recommend the usual, clunky pair of hiking boots. In fact, I didn’t bring any on my last trip there. Instead, bring a pair of lightweight, breathable sneakers for your hiking. This way, your feet can breathe and you wont be lugging around giant shoes the whole time. Water shoes – It’s very, very important to bring water shoes if you’re going to be doing any kind of water activities. The Philippines has areas that are full of corals/shells/rocks, and you can easily cut your feet if you don’t wear shoes in the water. I usually use my trusty Chacos in the water, but in retrospect, I think I’d opt for a water shoe like this one that covers my entire foot. Indoor/shower shoes – The Philippines has a culture of taking your shoes off before you enter a home, and it makes sense: roads and sidewalks can be dusty and full of gross things that your shoes will track in. A lightweight pair of rubber flip flops is helpful for walking indoors or using hostel/guesthouse showers. Packing toiletries and hygiene items for the Philippines isn’t too different from any other trip. However, determining what to pack for the Philippines, especially with regards to toiletries, is extremely important. There are a few items you should make sure to bring in your toiletry bag that you might not be aware of, especially when it comes to protecting the fragile marine environments in the country. The items below are my recommendations for environmentally friendly, must-have items for traveling in the Philippines. Reef-safe sunscreen – It should be obvious that you need sunscreen for your trip, but one thing to note is that many types of sunscreen are VERY harmful for marine life. 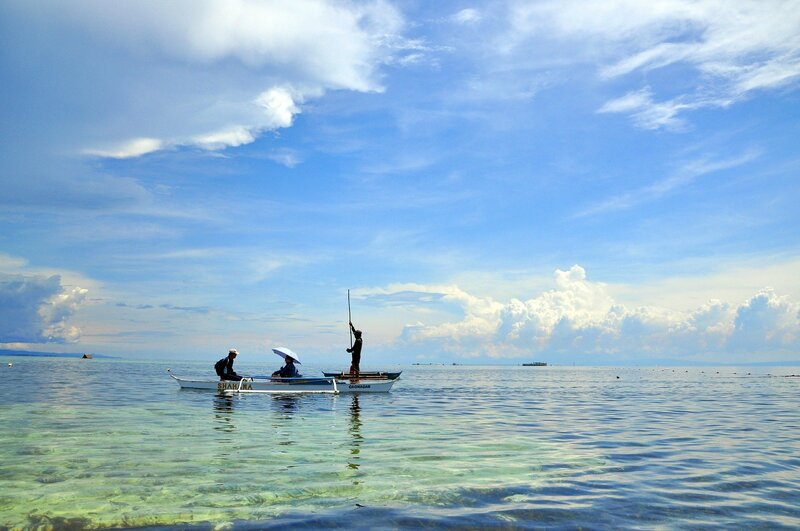 Swimming, snorkeling and diving are popular activities in the Philippines, so if you’re planning on getting in the ocean, please be kind to the corals and fish and wear reef-safe sunscreen. No Philippines packing list should be without reef-safe sunscreen. We use Sun Bum – it works well, smells good, and only uses natural ingredients that are safe for corals! Bug spray/lotion – Mosquitoes thrive in the hot, humid environments of the Philippines. You should always try to protect yourself from itchy bites and harmful mosquito-borne illnesses by wearing bug spray or lotion. I hate the way greasy bug sprays feel, so I usually opt for a clean feel lotion. AfterBite – You’re still probably going to get bitten. Be sure to bring After Bite or some other kind of anti-itch cream to soothe your irritated skin. Permethrin spray – Did you know you can get bug spray for your clothes, too? Permethrin spray is made specifically for fabrics and can help you repel bugs even more effectively. You can even buy pre-soaked mosquito repellent shirts (for women and men). Stomach medicine – While the food in the Philippines is amazing, sanitation conditions can vary and travelers often report getting bouts of diarrhea, nausea, or food poisoning. I’d recommend bringing some Immodium and Pepto-Bismol to help treat any stomach problems. You might also want some Dramamine if you get motion sickness on buses or boats. Solid toiletries – Be a responsible traveler and minimize your plastic use by using plastic-free toiletries. Ethique has a fantastic line of solid shampoos and conditioners for different hair types, as well as soap and face care items. Snorkel & mask – You can rent these in any beach shop, but the costs can start to add up quickly. If you’d rather use your own mask and snorkel, be sure to bring them with you. Head lamp – Streets in the Philippines can get really dark in the night. We always recommend bringing a head lamp (our favorite headlamps are from Black Diamond) everywhere to be safe. Dry bag – For days at sea or island hopping, you’ll want a way to ensure your electronics and clothes stay dry. A dry bag is the solution! We usually use a 5L or 10L Ocean Pack dry bag that works like a charm at keeping our clothes, electronics, and documents dry. Quick dry towel – Regular beach towels are bulky and smell bad when it’s humid out. Bring a lightweight quick-dry microfiber towel like this one instead, which comes in all kinds of cute colors! Portable clothes line – After a day at the beach all your clothes will be wet. A travel-friendly portable clothes line is perfect for hanging wet clothes in your hotel room or out on a balcony. Money belt – Keep your valuables safe and secure at all times by putting them in a money belt! Raf usually holds our stuff in this RFID-safe money belt, but when I travel alone, I usually opt for a slim-fit running money belt. Reusable bottle & filter – We talk a lot about reducing plastic, and the easiest way to do this is by using a reusable bottle and filter. I have a Hydro Flask, a USB-chargeable SteriPen, and a Sawyer Mini water filter with me on every trip so I always have access to clean water (without buying plastic bottles). Unlocked cell phone – Many Filipino tour companies, hotels, and restaurants do not have websites, and can only be reached by phone. I strongly recommend bringing an unlocked cell phone and buying a local Globe SIM card when you arrive. Carry-on backpack – Most airlines in the Philippines have restrictions on how much you can carry on. Pack all of your important stuff into a carry-on sized backpack that’s comfortable. Gifts for hosts & people you meet along the way – There’s a gift giving tradition in the Philippines called “pasalubong,” where you offer a few small gifts as a sign of thanks and hospitality. If you’re planning on staying with any locals or interacting with them in a meaningful way, bring some small gifts from home (like postcards, magnets, candy, etc.) to give as a thank you. GoPro & holder – A GoPro is the perfect adventure companion for water activities (and there are a LOT of these in the Philippines). We took our GoPro with us while diving, snorkeling, hiking, and surfing in the Philippines, and it barely has a single scratch on it. Plus, the photos are awesome! Travel camera – Again, not totally necessary if you’re already bringing a GoPro, but I like having a mirrorless camera to take beautiful shots of my surroundings and the people I meet. Did you catch all that? 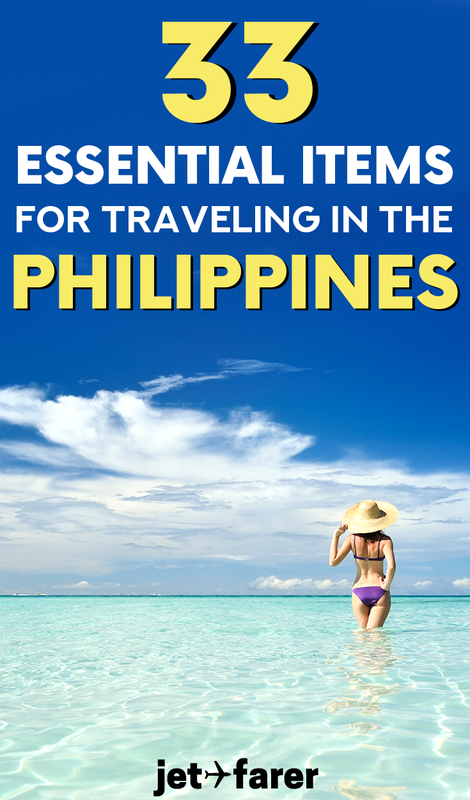 If not, do yourself a favor and download this Philippines packing list in printable PDF form! Sign up below and I’ll send it to you instantly, along with some insider tips for traveling in the Philippines. If you couldn’t tell from the gorgeous photos or my crazy enthusiasm, the Philippines is a gorgeous and friendly country to visit, and has something for any kind of traveler. However, figuring out what to pack for the Philippines can be tricky (as always). It can be somewhat difficult to find travel and eco-friendly items there, so it’s important to plan ahead. By packing well for your trip, you’ll save a lot of time and hassle and have a fabulous adventure in one of the most stunning countries in the world!